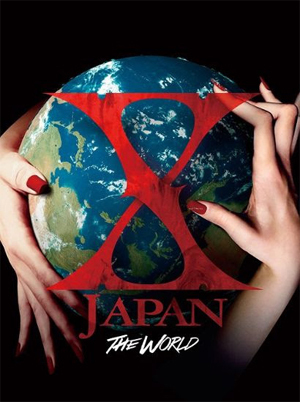 X JAPAN have released a Greatest Hits album entitled The World to commemorate their 25th Anniversary. It features remastered versions of their most popular songs and includes a live version of the song "Without You", which has never before been released on CD. The limited edition bonus DVD features a World Tour Trailer from 2009 to 2011 and a photo book. 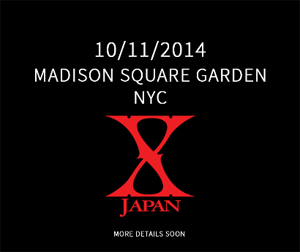 In other news, it also appears that X JAPAN are planning to play stateside in New York City in October. The following graphic has appeared but yet no details have been announced.